Just as in conditioning, progressive overload governs technical training as well. Novices begin with simple technical elements and then gradually progress to more difficult maneuvers. As an example, an athlete may first practice a kick in the air while holding on to a sup port for balance. Later, the kick is performed from the fighting stance, perhaps directed toward a partner for visual reference. In time, the athlete will throw the kick against a heavy bag or air shield. Higher targets are introduced when medium height kicks are perfected. Eventually the fighter is able to use the kick against low- to moderately-skilled opponents, and finally, highly-skilled opponents. 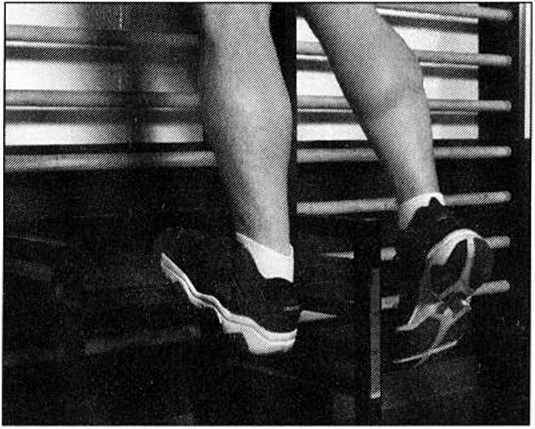 During technique training sessions, the coach should eventually introduce artificially difficult conditions to further improve the athletes skills. 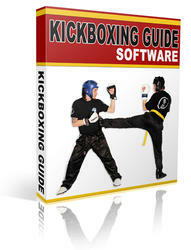 A fighter with weak kicking skills, for example, might be instructed to spar using kicks only. A fighter who has difficulty defending against fast jabs can be "tied" to his opponent by a rope attached to each fighters ankle. The opponent is instructed to throw numerous jabs, while the defender, who has no choice but to stay in jabbing range, defends, working on his confidence to protect himself using parries and head movement. Additionally, the fighting arena can be modified to provide increased difficulty. For a fighter who over-relies on "running" instead of staying in fighting range, the ring or mat can be reduced in size, which will force the fighter to stay in range and learn to cope with an opponents attack. For skilled fighters with no readily apparent weaknesses, the coach can increase the difficulty by dimming the lights, artificially imposing the rules in such a way that the opponent has a decided advantage (i.e., not allowing the fighter to use his "best" technique), or lengthening the rounds (with, or without telling the fighter). Many applications are possible, but an athlete must challenge his skills in order to progress. Care must be taken when applying the progressive overload principle to skills training on two counts. First, these techniques should not be applied too early, before the skills in question are adequately developed. By way of example, if a novice fighter is unduly anxious about physical contact, it would make little sense to expose him to particularly rugged opponents as a way of "toughening him up." Instead, a more effective approach would be to engage him in matches where the opponent offers half-hearted attacks which can be easily defended. The instructor can assist by keeping the atmosphere lighthearted and fun. As the fighter gains confidence, the conditions can be made gradually more difficult. Second, progressive overload methods must be enacted with a heightened awareness of safety. When a fighter is exposed to very difficult conditions, he may panic, which creates an increased potential for injury, particularly to his opponent(s). Also, the inherent dangers in sparring in low light, for example, are obvious. Always use appropriate safety precautions (i.e., extra protective gear, closer than usual monitoring of the combatants during the drills, etc.) when applying these drills. A good rule of thumb is to limit the time of the drills to 50% or less of the usual duration of the competitive conditions. If a fighter is constantly exposed to the same types of training stimulus, he or she will reach a "plateau" faster than if a variety of stimuli are utilized. Of course, for novices, nearly all training represents a new form of stimulus, and therefore, variability will not be an issue. But for advanced fighters who are already close to their "ceiling" of potential, the introduction of variability in training is a necessity for further improvement. Physiologically, the need for variability is predicated on the fact that the body's systems will react to a repeated stimuli with less and less "alarm" over time. Eventually, no reaction can be elicited at all, no matter how severe. The solution is not to make ensuing training sessions more difficult, but instead, more diverse. Providing diversity in training is limited only by the instructor's imagination. There are innumerable ways to accomplish this task such as training outside instead of indoors, training at an unfamiliar gym, or against unfamiliar opponents, training in encumbering clothing, sparring in water, or in sand, sparring with unusual rules (such as allowing throws for boxers), or even practicing new fighting disciplines. Even the introduction of dance, other sports activities, or training to music can be employed. Variation and diversity not only helps to ensure continued development. It also provides an occasional bit of fun, keeping things interesting when the athlete may be feeling psychologically drained due to the heavy demands of training. Depending on the facilities, it may be productive as well as refreshing for fighters to swim or play basketball, etc., after a hard training session. This sort of activity is also an effective cool-down and a transition from the high stresses of training, and the lesser stresses of daily life. Whenever executing a technique, athletes need some way of knowing how closely that movement conforms to "correct" technique. Otherwise, athletes are relegated to performing the technique incorrectly time after time, which is actually worse than not practicing at all! Why? By practicing a skill time after time, individuals entrench neural "habits," making each subsequent repetition more "comfortable" and easy to perform. If practicing skills incorrectly, progressively more work means it will be that much harder to change incorrect technique in the future. This fact gives rise to the axiom "practice doesn't make perfect. . . perfect practice makes perfect." This also explains an interesting phenomenon associated with learning motor skills: when doing something incorrectly, the correct movement will feel incorrect at first. This is, of course, because incorrect technique is associated as correct. Therefore, feedback is primary to effective methods of technique training and skill development. Here are some feedback methods available to martial artists. 1) A Coach or Instructor. The most common and important feedback comes from an instructor or coach. An instructor can immediately offer suggestions and corrections before athletes become comfortable with mistakes. Many times, what is "felt," or perceived as correct technique, isn't what an athlete is actually doing. Only an instructor can illustrate the difference. Since he or she has been there before, an instructor may provide shortcuts, saving time and frustration. In selecting an instructor, he or she need not be a world champion although competence to demonstrate proper techniques is inarguably important. Often, an instructor who was a "natural" athlete might never have taken the time or effort to really understand the execution of techniques. It may have come so easy for "naturals" that an understanding of the underlying technical aspects were not necessary. Sometimes, an instructor with only moderate skills is better able to understand student frustrations and offer workable solutions to problems. Look for an instructor who has successful students above and beyond any other factor. 2) Mirrors. These are quite helpful to developing martial artists, providing they know what to watch! Mirrors offer immediate and accurate feedback and allow one to see what's going on with his or her own eyes. Two problems can result from the use of mirrors, however. First, most people will succumb to only practicing their "pretty" techniques, and not practice the skills that really need work. Obviously, this accomplishes nothing. Second, over-reliance on mirrors tends to draw attention away from how a movement feels. Since that's what really matters in competition, care must be taken to avoid this problem. 3) Video. This offers the same type of quality feedback as mirrors but with the additional advantage that a technique can be played back repeatedly for analysis. Slow motion and stop-frame features make this analysis even more productive. The best way to analyze a video of one's performance is with an instructor, who can offer immediate suggestions for further improvement. 4) The Evaluation Inventory. Designed by the author in 1992 to obtain quantitative feedback for fighters, the evaluation inventory is a "list" of technical and tactical qualities coupled with a 1-10 scale for assessment (please see Table 6-1). Unlike quantitative sports such as track and field or weightlifting, martial artists lack a measurable criteria for improvement. A shot putter with a best throw of 60'5" who then throws 60*6" knows performance has improved. But a fighter has little objective feedback on which to base progress. Typically, fighters attempt to measure their progress in three ways. First, by how well they perform at a meet. Second, by how effectively they handle a given classmate or training partner during a training session. And third, by using their own subjective analysis ("Wow. I feel very sharp today!"). Unfortunately, all three methods fall short of reliability. After all, maybe victory at the meet occurred because certain better fighters happened to stay home that day. Or, could it be that the classmate one finally outpoints was just having a bad day? The immense complexity of sparring makes these types of subjective analyses inadequate to say the least. The evaluation inventory, therefore, is a successfid resolution of this problem. Start by constructing a list of pertinent criteria. Table 6-1 provides suggestions, but alter the form to suit individual needs. The number of elements used depends on various factors, including the fighter's experience level (sometimes called "training age"), and how one plans to utilize the inventory. Following each item is an ordinal scale from 1-10 (1 indicates a poor score, 10 a perfect score). Additionally, the form has space to record how many matches are fought, how difficult they were, and so on. Such data helps to accurately document training, which is important when constructing a long-term training plan. Immediately following each sparring session, fill out the inventory while memory is still fresh. And, be totally honest! Of course, at this point, the form is still little more than a subjective evaluation. The key to making the evaluation an objective one is to cross-reference it with the evaluations of others, which is most often the instructor. After the sparring session, athletes and instructors fill out the inventory simultaneously on separate forms. Now, both the fighter and coach have a valuable tool with which to target technical and tactical shortcomings, which can then be corrected through modification of the training program. This cross-referencing between the athlete's perception and the instructors assessment creates a relatively objective analysis. When an instructor and student assign the same or similar scores to a particular skill or attribute, the evaluation can be seen as reliable. However, when a significant disparity results, (i.e., the student rates timing as an "8" when the instructor rates it as a "4"), the fighter probably has less than accurate perceptions regarding his abilities (or at least that particular ability). Through this process, fighters develop a heightened awareness with respect to their skills and tactics.